Following U.S. President Donald Trump's dismissal of Secretary of State Rex Tillerson, Foreign Affairs Minister Chrystia Freeland will have to build a new relationship with his replacement, Mike Pompeo, at a very critical time for Canada-U.S. relations. Mike Pompeo is U.S. President Donald Trump's nominee to be the new Secretary of State — and Canada is not likely to be at the top of Pompeo's priority list. The planned meeting between Trump and North Korean leader Kim Jong-un and ongoing tensions with Russia over election interference are clearly going to be far more pressing issues for Rex Tillerson's replacement at the State Department. Still, this is also a critical time in Canada-U.S. relations, and it appears Canada has just lost a key ally in the Trump administration with the president's move to fire Tillerson. Reacting to the change at State, Prime Minister Justin Trudeau struck an optimistic note today. "We know that we have had great working relationship with many folks, including Rex Tillerson, but I can also say that we've had a great working relationship with his successor, secretary designate Pompeo," he said. "We're going to continue to build a strong productive relationship moving forward on highlighting just the closeness, the interconnected-ness, the unique relationship in all the world that is the friendship between Canada and the United States." 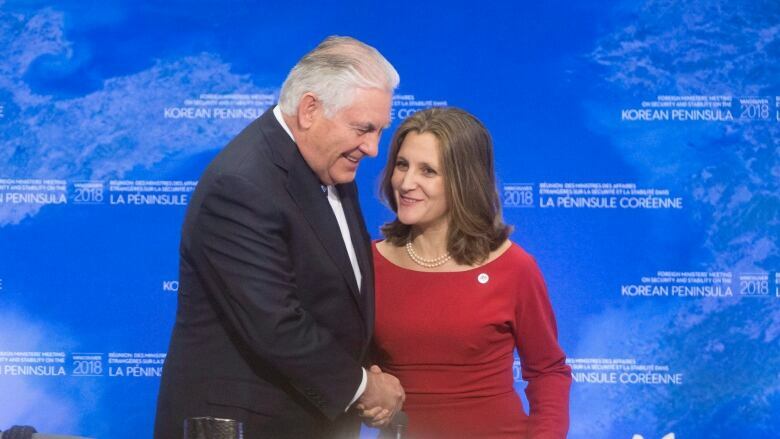 Foreign Affairs Minister Chrystia Freeland had developed a strong working relationship with Tillerson. Most recently, the pair co-hosted the Vancouver Summit, a gathering of international partners organized to seek a diplomatic solution to the crisis over North Korea's nuclear weapons program. While the meeting didn't have many tangible results, it showcased the bond between Freeland and Tillerson. The idea for the summit first came together around last September, not long after President Trump threatened to unleash "fire and fury" on North Korea in response to its ongoing weapons testing. Alarmed by the increasingly bellicose rhetoric on both sides, Freeland and Tillerson started discussing plans for an international gathering to demonstrate support for diplomacy. Both are considered to be among of the strongest supporters of diplomacy currently on the scene in Western governments, even though Tillerson's position frequently clashed with the White House and was undermined by a rocky personal relationship with Trump. Weeks before the summit's announcement, Trump humiliated Tillerson by publicly rejecting his calls for the resumption of diplomatic talks between Washington and Pyongyang, without preconditions. But Freeland was able to alleviate some of that sting by helping to organize the gathering in Vancouver, which saw more than a dozen international partners stand firmly in support of a diplomatic approach to North Korea. While the message was aimed at Pyongyang, it also helped Tillerson make the case for peace at the White House. Pompeo's promotion comes as the trading relationship between Canada and the U.S. is growing more difficult. NAFTA negotiations are progressing, but remain tense. Trump has threatened to slap tariffs on Canadian steel and aluminum unless he gets his way in those talks. And there is no end in sight to the softwood lumber dispute. Former Canadian diplomat Colin Robertson said Canada should reach out to Pompeo right away, to welcome him into his new role. He said he also suspects that Pompeo will have an understanding of the close relationship between the two countries, given his current position as director of the Central Intelligence Agency. 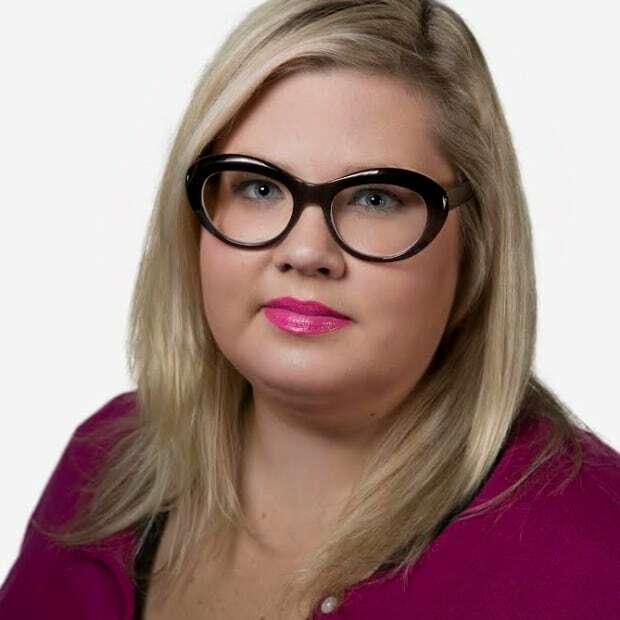 "He will have an appreciation of Canada on the security side, and we will now do our efforts to remind him on the economic side," Robertson said during an interview with CBC News. As head of the CIA, Robertson said, Pompeo will have first-hand knowledge of how Canadian and American security agencies work together. "He will have a geopolitical sense of Canada ... given the Five Eyes and the intelligence sharing that goes on," Robertson added, referring to the intelligence alliance between Canada, the U.S., Australia, the United Kingdom and New Zealand. He said he suspects Freeland and her team will now be researching Pompeo's home state of Kansas, looking to find areas of commonality and cooperation — particularly on trade. "Kansas, being more or less being a free trade state, and agriculture being important, he'll get that." According to the U.S. government website on agriculture, Kansas exported $307 million in agricultural products to Canada in 2016, through a two-way trading relationship worth $539 million. Animal feed, including dog and cat food, is the top export from Kansas to Canada, worth about $99 million in 2016. While Canada is not the state's number one agricultural export market (Mexico is), the website says more than 81,000 jobs in Kansas depend on trade and investment with Canada.